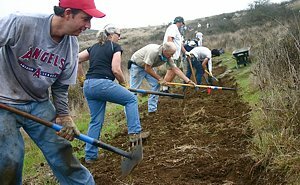 Saturday, May 26: COSCA Mini-Trailwork Day in Thousand Oaks. 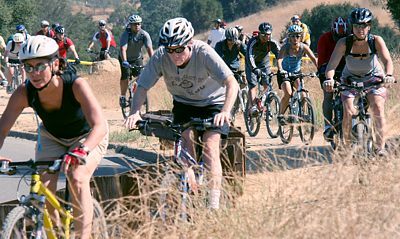 With the recent opening of a new YMCA in Westlake Village, the Conejo Open Space Conservation Authority (COSCA) will be building a connector trail from new facility to the Saddle Pass Trail on the hillside above it. Please register online so we'll know how many people to expect. Full details are available on the registration page. 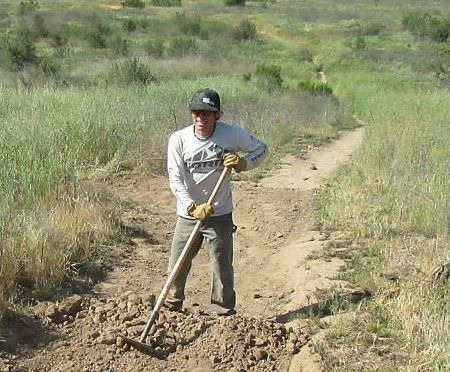 Saturday, June 16: COSCA Spring Trailwork Day in Thousand Oaks. We will continue with construction of the new trail from the Westlake YMCA to the Saddle Pass Trail that we started on May 26. Please register online so we'll know how many people to expect. Full details are available on the registration page. Quoted in the story are Erik Hillard and Matt Baffert of the Mount Wilson Bicycling Association, and Steve Messer of CORBA. 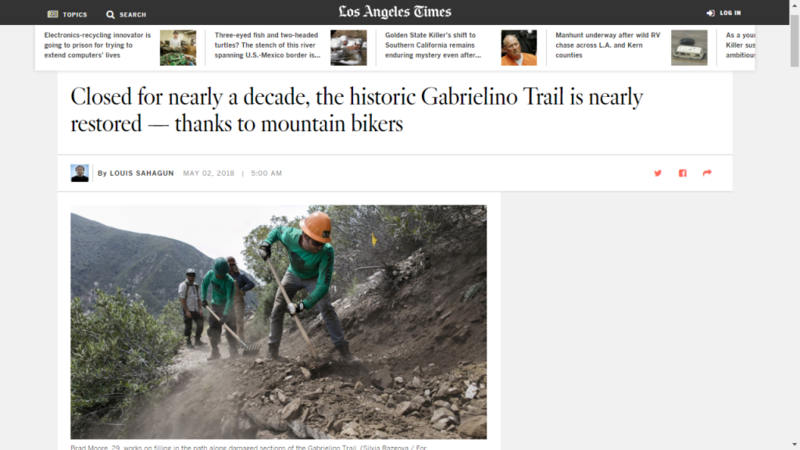 The article covers efforts by mountain bikers to open the Gabrielino Trail from Redbox to JPL, but doesn�t mention the continuing efforts by the Boy Scouts, the Sierra Club, and the Angeles Crest 100 volunteers who have worked on the trail east of Redbox. Saturday May 5th is the next skills clinic, followed by June 2nd.